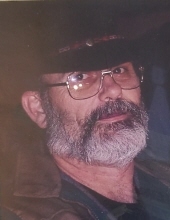 Mr. William (Danny) Earp, age 70, of Richlands, VA passed away Saturday March 16, 2019 at his home following an extended illness. He was born in North Wilkesboro, NC to the late George & Maxine Earp. In addition to his parents he was preceded in death by his sister in law Carol and mother in law Muriel Bristow. Danny was a U.S. Air Force Vietnam veteran. He was a member of the Church of Latter-day Saints. He had retired from GTE and Outsource Phone Company after 30 years of service and had worked for many years at the Good Samaritan Food Pantry. Danny was an avid lover of NASCAR & country music. Danny is survived by his loving wife of 47 years Janet Earp; four children Michelle Earp Brant & husband Jim of Fort Worth, TX; Wyatt Earp & wife Sharon of Norfolk, VA; exchange student daughter Yukie Shigemori of Japan; Jasmine Earp and Morgan Earp both of the home; four grandchildren Devon Brant, Logan Brant, Carrigan Earp and Shawn Damron,; two brothers Gary Earp and Michael Earp, Father in Law John Bristow of Cheltenham England; many nieces, nephews and friends also survive. The family of Danny Earp is in the care of Singleton Funeral Service in Cedar Bluff, VA.
To send flowers or a remembrance gift to the family of William (Danny) Earp, please visit our Tribute Store. "Email Address" would like to share the life celebration of William (Danny) Earp. Click on the "link" to go to share a favorite memory or leave a condolence message for the family.